What is Labor Day? It’s a day that honors the American labor movement and the many contributions made in honor of working people. 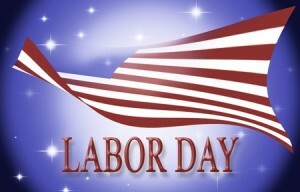 Established in 1887 Labor Day is recognized as a public holiday on the first Monday in September in the United States. My sisters and I decided to spend Labor Day weekend relaxing in Las Vegas, NV. We each hold two or more jobs and look forward to occasions when we can set work aside and vacation with one another. We absolutely believe in the value of hard work and planning for the future, but we also value spending time together and taking a break. Hotel Stay—My sisters and I enjoyed our 3-night stay at the Elara, Hilton Grand Vacations Club. The swanky one-bedroom studio suite offered us the convenience of a living room, kitchen, large bedroom, and bathroom. We marveled over the view outside our window from the 19th floor, and the floor-to-ceiling projector screen that filled the entire wall. A huge red leather sectional anchored the room with its contemporary décor. We found the pool area to be fantastic and was open from 8 a.m. – 10 p.m., which is rare for pools in the Las Vegas area. The hotel is centrally located along the strip and sits in a great location. The hotel does not offer a casino, and we like that. A two thumbs up from the Leitner sisters! 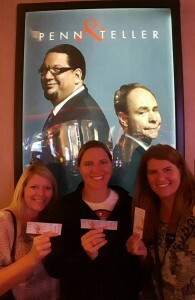 Show Time—My sisters and I went to see the Penn & Teller show. Why? 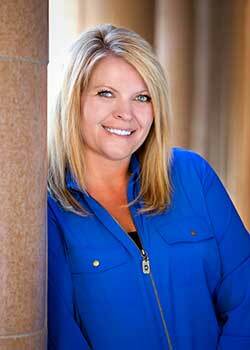 My sister, Jennifer, enjoys watching magic tricks and figuring out how the illusions are possible. 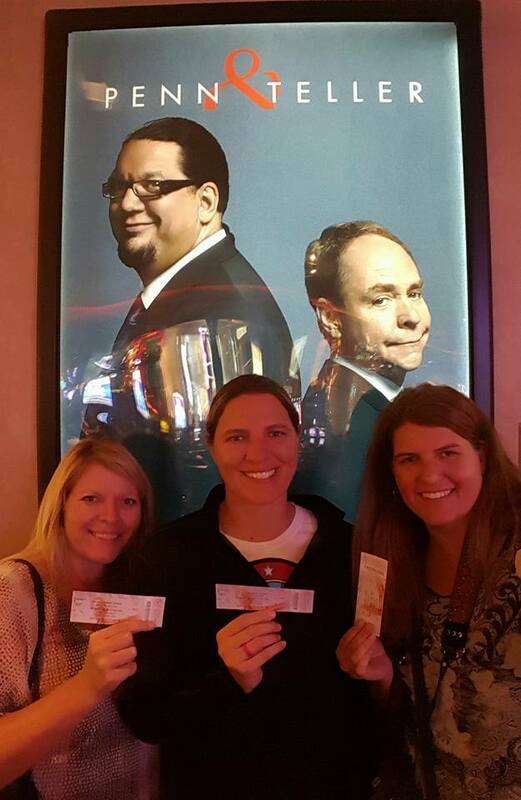 Also, as fans of the reality show Celebrity Apprentice, we watched Penn Jillette during the shows 2013 season win the hearts of fans as he helped lead his team towards success. Although, he was not awarded the title Celebrity Apprentice, we wanted to support our friend Penn. Recharge and Relax—I love to recharge and relax near a great outdoor pool under the rays of the sun. It’s the perfect location for me to disconnect from technology and recharge. Food—My sisters and I tried new (to us) Las Vegas restaurants this year. We ate poolside at Elara, dined at Planet Hollywood’s evening buffet, grabbed burgers and shakes from Holsteins inside the Cosmopolitan, enjoyed outdoor patio seating and delicious food at the Hexx restaurant at Paris Las Vegas, and ate at the popular chain restaurant Yard House. Family Time—As always the best part of any vacation for me, is time with my sisters. We enjoy time together, play games, engage in fun activities, and eat yummy desserts. What are some of your favorite Labor Day weekend memories? I would love to hear all about it.